BELTON – The University of Mary Hardin-Baylor men’s soccer team tied the University of Texas at Dallas 3-3 Saturday night in Belton. 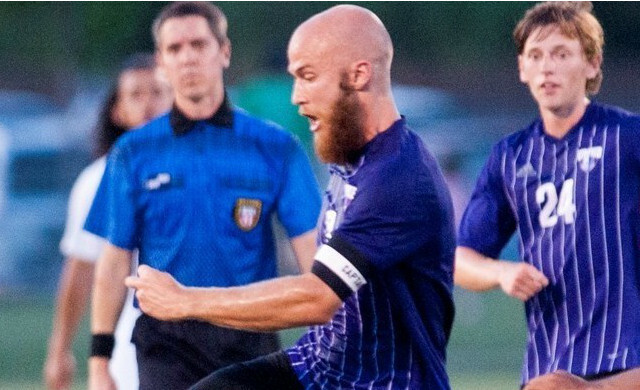 The tie moved the Cru to 7-6-3 on the season and 4-2-3 in American Southwest Conference action. The Comets moved to 12-3-3 overall and 7-1-1 in ASC play. Michael Matthews gave the Comets an early lead with a goal in the eighth minute. Caleb Latson scored the equalizer a minute and a half into the second half, with an assist from Case Carnes. Ben Hammonds gave the Cru a lead with a converted a penalty kick in the 59th minute to give UMHB the 2-1 lead. U.T.-Dallas responded with a header from Roman Rodriguez in the 71st minute, tying the game once again at 2-2. McKenna Cook scored again for the Cru in the 80th minute and held that lead until Erick Reyes scored another equalizer, tying the game at three with just over two minutes left in the contest. Nate Fagnant led the Cru with four shots while Hammonds, Cook and Caleb Latson each added two. UMHB recorded 16 shots in the contest and allowed the Comets 18.Blake Lander earned the tie in the full 110 minutes, allowing three goals and making six saves. Joseph Weber took the tie for the Comets, making six saves and allowing two goals. UMHB took five corner kicks to the Comets’ two and allowing just two overtime shots. UMHB returns to action next week in the American Southwest Conference Championship Tournament, November 6th through 9th hosted on the campus of U.T.-Dallas in Richardson.